Property investments remain one of the most widespread ways of saving and building one’s capital. In particular, UK property acquired at an early construction stage has the special advantages of having low risks and high revenues. To invest into a property in its early construction stage there is no need to take out a mortgage, to evaluate the value of the property and maintain it in a presentable state for letting or until the sale. Also, when investing in a new property one can choosethe property with the most attractive and promising location, design, view and space. From our wide experience of property investments in the UK, our experts recommend acquiring new properties in the early stages of construction, or even before that – as soon as the property developer receives the approval of the project. This will produce maximum profit from your property. The Plaza is the newest addition to the Manchester skyline, set to provide 201 luxury apartments to the prime undersupplied residential market in the area. 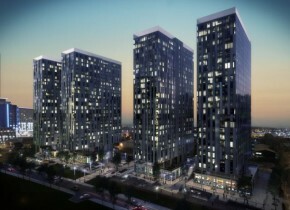 X1 Aire brings 147 prime apartments to a market, which is currently flourishing like never before. Leeds is one of the most sought-after destinations in the UK, with a buoyant economy, continuing influx of students and young professionals as well as ever-increasing property prices. 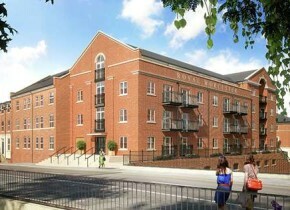 X1 Aire will provide much-needed luxury apartments to the overheated private rental market in Leeds. In the era of high tenant demand, X1 Aire aims to provide everything that a modern tenant could possibly need in their new home—as well as stunning and spacious private spaces. Just 5 minute walk from Worcester city centre and overlooking the Worcester and Birmingham canal, Poicelian House offers comprises of 1,2 and 3 bedroom apartments with luxury specification, all benefiting from undercroft parking. Located less than a mile from High Wycombe's vibrant town centre, Wye Dene offers a collection of superbly appointed 3, 4 and 5 bedroom houses. Liverpool is known as one of the UK’s most attractive buy-to-let hotspots thanks to having one of the strongest rental markets outside of London, as well as increased tenant demand coupled with a chronic lack of bespoke residential housing in the area. 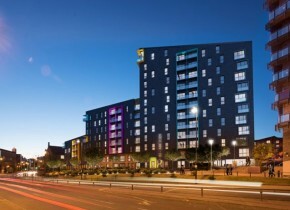 Demand far outstrips supply in many areas of Liverpool, which is why an extension of the X1 The Quarter development is such an attractive opportunity for tenants and investors alike. Always monitoring the UK’s property market, our experts know exactly which areas of London and other cities in the UK have the largest growth potential. This is why you can be sure that your property investment will yield maximum profit. Every year the prices of properties in the UK rise by 5-10%. This means that with a construction period of around two years, an investor can count on considerable profit. Reliable developers, with excellent reputations and sufficient funding, as well as risk insurance, allow our clients to have no doubts that their investments will become active within the deadline and to plan their forthcoming actions with the property. 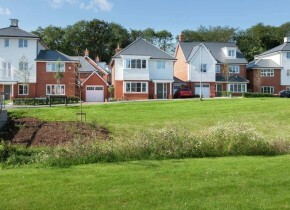 In the UK 10-30% of the total price of the property is paid as the initial deposit. It depends on the stage of construction of the property (in the early stages discounts are likely) and the potential appeal of the property – the better the project and its location, the higher the initial deposit. Prime UK Property is well trusted among developers, and as a result it is often our clients who are often offered discounts and receive additional benefits when paying the initial deposit. The rest of the price of the property, as well as stamp duty, are paid after the completion of construction and the beginning of its use. Additionally, in most cases the developer offers the opportunity to resale the contract of purchase of the completed property, without having to pay its full price, as well as allowing to rearrange the contract before the completion of the construction. All properties are completed with full interior design, including an integrated kitchen and fully equipped bathrooms. The owner receives a special 10-year guarantee of quality of construction from the UK’s National Property Building Commission. This significantly increases the opportunities for future resale of the property. Prime UK Property – experienced consultants in profitable investments. Prime UK Property is prepared to take on the search throughout the whole of Great Britain to find the right project for you to invest in. We understand well the difference between choosing a property to live in and to invest in with the aim of gaining maximum profit, and have seen from our own experience that property investments in the UK are low-risk and a high-profit way to save and increase one’s capital. Our aim is to make your investment as profitable as possible. This is why we always suggest properties that have the best prospects in terms of location, small initial deposit, opportunities for future resale and a high potential of growth of the value of the property. 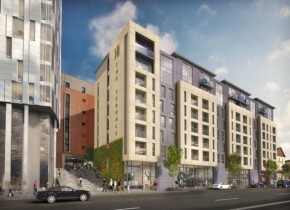 These are just some of the current property investments at construction stage in the UK. 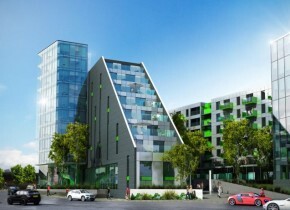 Our company works with all of UK’s leading developers. Get in touch and we will select a project that exactly matches your needs.